A basic metabolic panel (BMP) is a group of blood tests that provide doctors with clues about how the body is working. Doctors usually order this as part of a routine physical checkup or as a way to help diagnose a medical problem. Although the basic metabolic panel tests for several different things, you only need to get blood taken once. The lab uses the same blood sample to run all the tests. 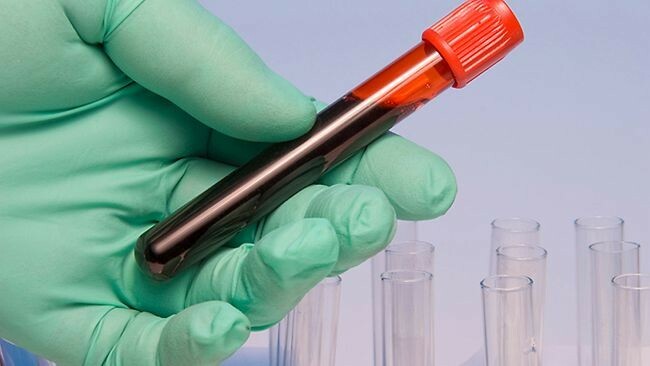 What Does the BMP Blood Test Examine? Your doctor will be able to uncover any health issues such as problems with the filtration of your blood, the pH balance in your blood, levels of glucose and electrolytes in your blood, along with finding the levels of other minerals such as sodium, potassium, carbon dioxide and chloride. The test will also give your doctor an idea of how your kidneys are functioning, whether you have lung or heart problems and if your pancreas is functioning properly. Using one sample of blood your doctor can find results for all the above health factors and several more. If the results come back abnormal, your doctor will order more specific tests to get more detailed results. Blood sugar tests will provide results for the amount of glucose in your blood. Glucose is created by your liver to provide energy to your body. These are regular tests for those who have been diagnosed with diabetes, however those with hypoglaecemia and hyperglycaemia use these tests to monitor their blood levels as well to ensure blood sugar levels remain level. Doctors will generally test calcium levels in the blood of patients who have symptoms of kidney, bone or nerve conditions. The tests will inform the doctor of any early warnings. Electrolytes play an important role in this balance to keep your body functioning properly. Doctors will use the electrolyte test to determine the pH balance, water levels, potassium and chloride in the blood stream. An imbalance of electrolytes can be a symptom of several health issues such as irregular heart rhythm, muscle contraction issues and your brain functions. There are two tests for kidney functions. The tests determine the levels of waste products in the blood. High levels can indicate that they are not working properly which can lead to an imbalance of water, salts and minerals in the blood. Most of the time, your doctor will ask you to abstain from eating and drinking for 8-12 hours prior to the test. This will allow the results to be most accurate. However, in the case of an emergency the basic metabolic panel can be done without preparation. When you talk to your doctor about the test, be sure to inform them of any meditation you are taking, whether they are prescription or over-the-counter, as they may affect the results. Also it is in your best interest to wear a short sleeve shirt under any long sleeved shirt to allow the technician to draw your blood more easily and quickly. Your participation in the blood metabolic panel is pretty easy. You simply need to show up and let the technician do the work. Most of the time the technician will draw the blood from the inside of your elbow, however, sometimes they may need to draw from the back of your hand. Before the technician starts, he/she will clean the area with an antiseptic and tie an elastic band around your upper arm to enlarge the vein so it is easier to draw blood from and see. The technician will then insert the needle so that the blood can collect in a vial or syringe. Sometimes the vein may still be hard to find, and the technician may need to try a second time. The whole process will only take a few minutes. Once the blood is drawn and the needle is removed, the technician will put a bandage on the entry point in case there is any bleeding. Some people may notice a little bruising, but it is considered normal and will go away in a day or two. Always remember to relax the best you can during the process to ensure quickness and efficiency. When you tense up, it can be a bit more painful to draw the blood. Also remember that if you do not like the sight of blood, you can always look away and focus on something that will distract you for about a minute.If at any time you have questions, ask them. The technician and your doctor will answer any questions you may have. What Effects May the BMP Blood Test Bring? There are a few common minor effects of the BMP that you may experience. You may notice a small amount of pain or pinching when the needle is inserted. You may also feel a small amount of throbbing when the needled is removed. These are normal as your skin is being pierced with the needle and when the elastic band is removed, your blood will begin to flow normally again. You will be instructed to apply a bit of pressure when the needle is removed to avoid any bleeding. You will also be asked to keep a bandage on for 10-20 minutes as well as avoid heavy lifting with that arm. These are normal safety precautions. There are also some very rare effects that you may encounter. If you notice a prolonged period of lightheadedness or fainting, hematoma, infection or excessive bleeding, you need to let your doctor know as they may be signs of other conditions.